'I wrote to the zoo to send me a pet . 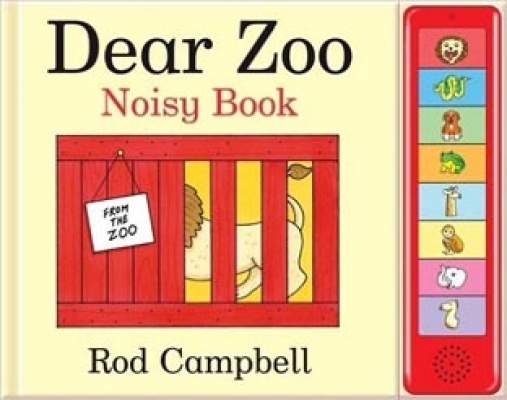 . .' Rod Campbell's classic lift-the-flap book Dear Zoo has been a firm favourite with toddlers and parents alike ever since it was first published in 1982. 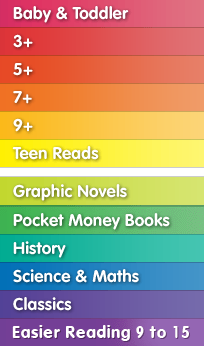 With Dear Zoo Noisy Book children can join in the story with eight interactive sound buttons. Dear Zoo Noisy Book is an interactive play-along edition of the preschool classic. Young children will love lifting the flaps to discover the animals the zoo has sent, and then pressing the sound buttons to bring the story to noisy life: hear the lion roar and the puppy bark! With bright, bold artwork, a catchy refrain and eight animal noises, the Dear Zoo Noisy Book is sure to keep toddlers entertained for hours - perfect for joining in!